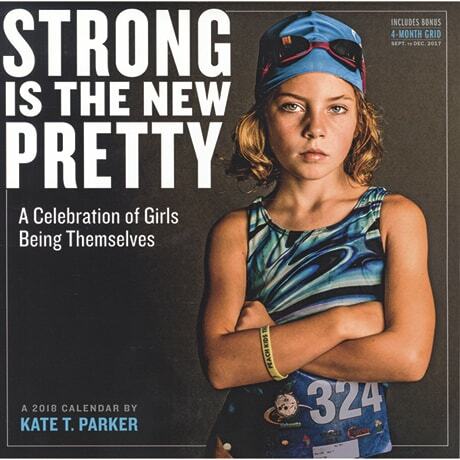 Taken from her book Strong Is the New Pretty, the color and black and white portraits in this wall calendar by photographer Kate T. Parker celebrate girls 5 to 18 being their authentic selves. Each month features a girl who embodies the inherent beauty in being resilient, confident, and hardworking, and each photo or collage is paired with a quote from the subject herself, from backyard adventurer Tayla, age 6 ("Yeah, I am a little muddy. So what? "), to football player Carlie, age 12 ("If you're strong on the inside, it means nobody can break you down"). 12 × 24 inches open.